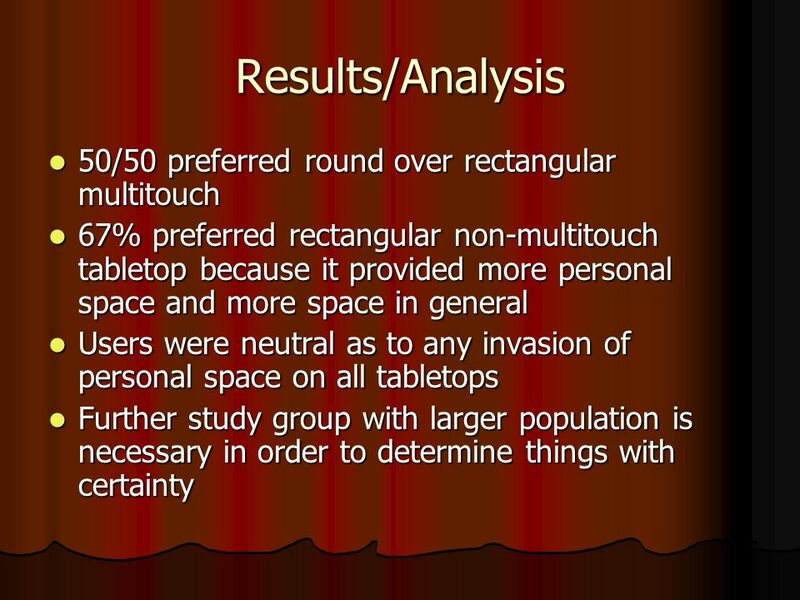 A User Study on User Collaboration and Privacy Concerns thorough the use of a Round Table-top Multi-touch Interface Nicolas J. Dedual. 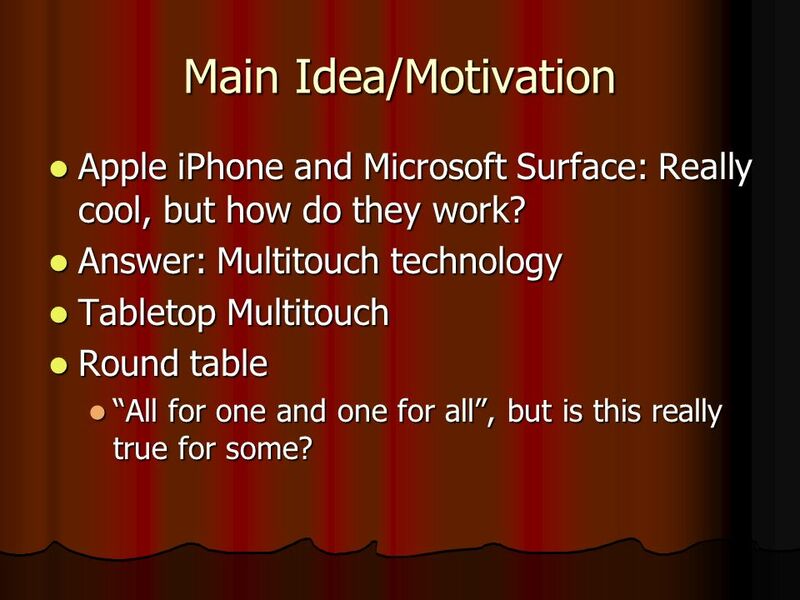 2 Main Idea/Motivation Apple iPhone and Microsoft Surface: Really cool, but how do they work? Apple iPhone and Microsoft Surface: Really cool, but how do they work? 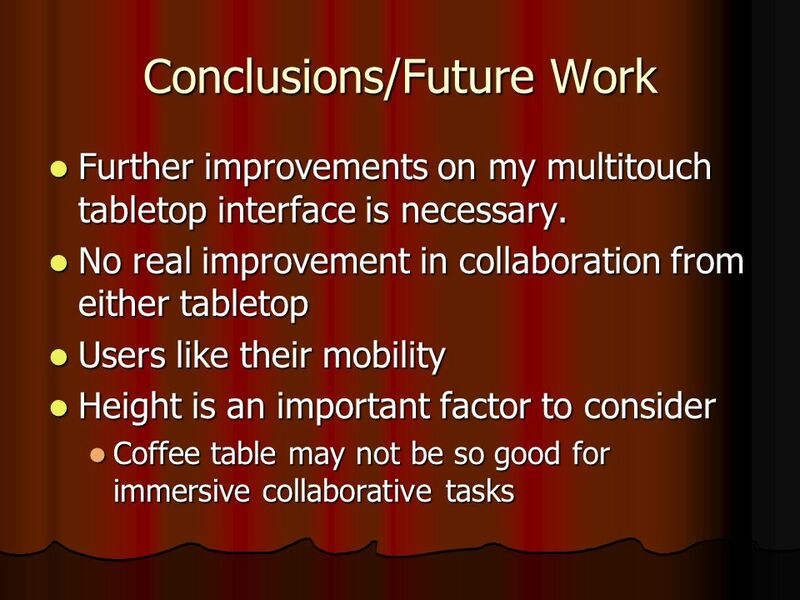 Answer: Multitouch technology Answer: Multitouch technology Tabletop Multitouch Tabletop Multitouch Round table Round table All for one and one for all, but is this really true for some? All for one and one for all, but is this really true for some? 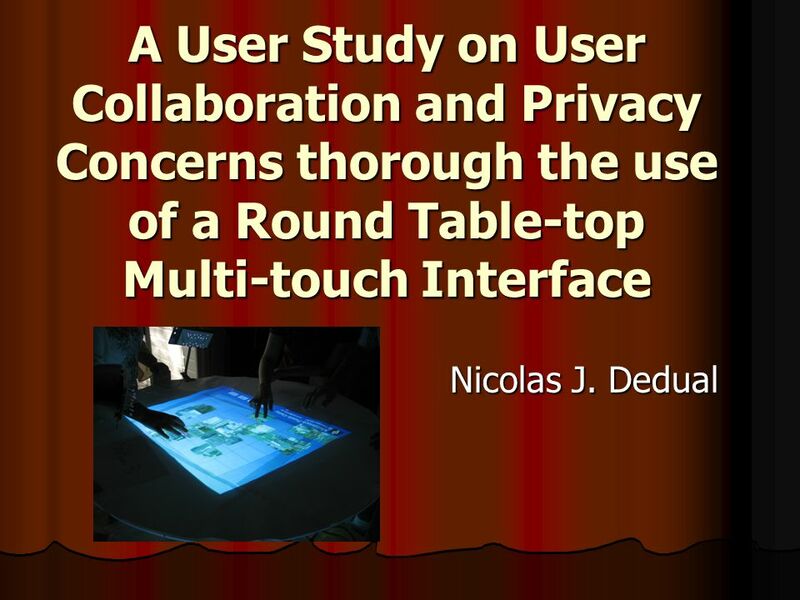 Download ppt "A User Study on User Collaboration and Privacy Concerns thorough the use of a Round Table-top Multi-touch Interface Nicolas J. Dedual." TEACHING AND LEARNING FORUM TUESDAY 22 nd NOVEMBER 2011. Mobile Banking Application Steven Hong Kwan Hong Lee Marko Popovic. A number of MATLAB statements that allow us to control the order in which statements are executed in a program. There are two broad categories of control. VisTACO: Visualizing Tabletop Collaboration anthony tang, georgiatech michel pahud, microsoft research sheelagh carpendale, university of calgary bill. 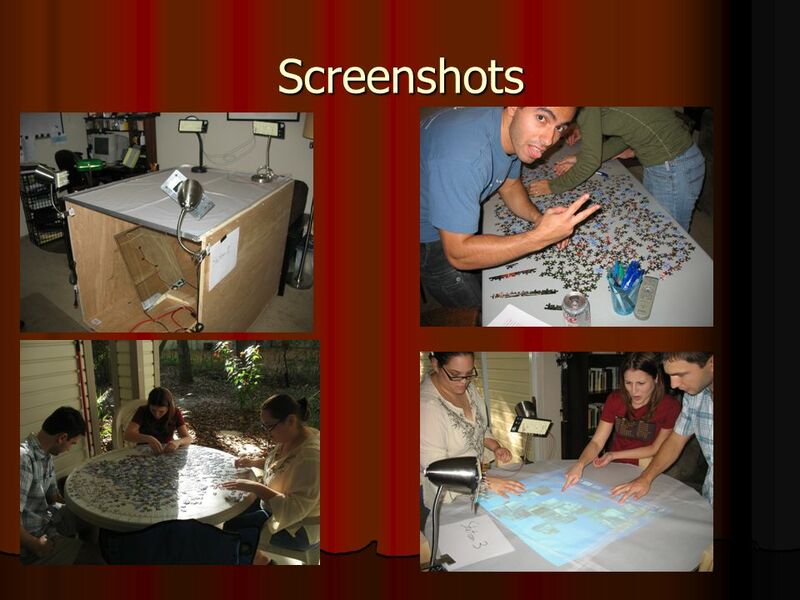 Exploring Naturalistic Gestures for Digital Tabletops Darren Andreychuk Shahedul Khandkar Josy Oliveira 1. Justin Gold Patrick Lupiani The Goal  Enhance the experience of traditional tabletop gaming over long distance Make it as ‘natural’ feeling as possible. Splash Screen. Lesson Menu Five-Minute Check (over Lesson 12–4) Main Idea Key Concept: Surface Area of a Cylinder Example 1:Find the Surface Area of a.
Valentine Card Puzzler Youth match their pieces to the card design to find their groups in this Valentine's Day Crowdbreaker CreativeHolidayIdeas.com. Surface Computing/ Seamless Interface Elaine Bain DMS 546 Elaine Bain DMS 546. Bits-1 AJG 10/2010 The University of Massachusetts Lowell Bits Anthony J. Gabrielson October 5, 2010. MouseHaus Table: A Tangible User Interface for Urban Design Chen-Je Huang Design Machine Group. Transient Life: Collecting and sharing personal information Stephanie Smale and Saul Greenberg University of Calgary, Canada. 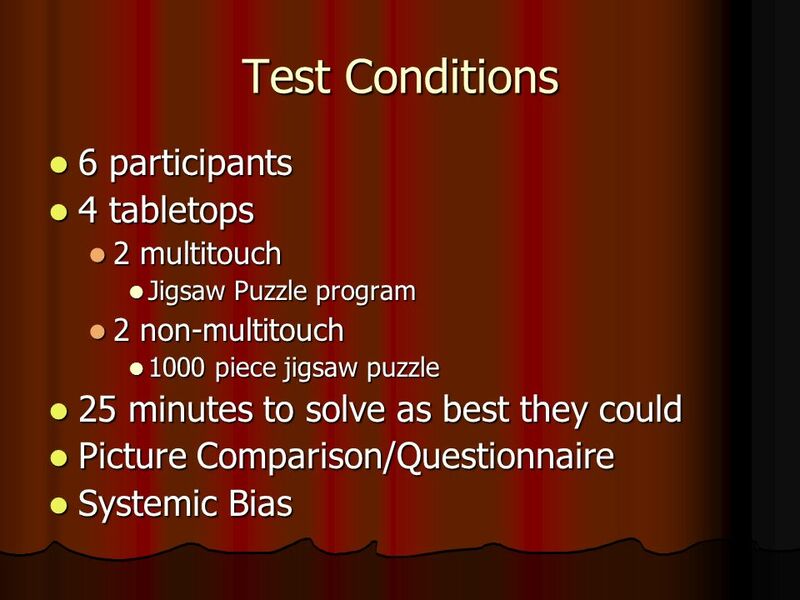 1 Multi-Layered Interfaces for Mobile Applications for Older Adults: Qualitative Analysis By Justine Yang CPSC 448B April 28, 2009.